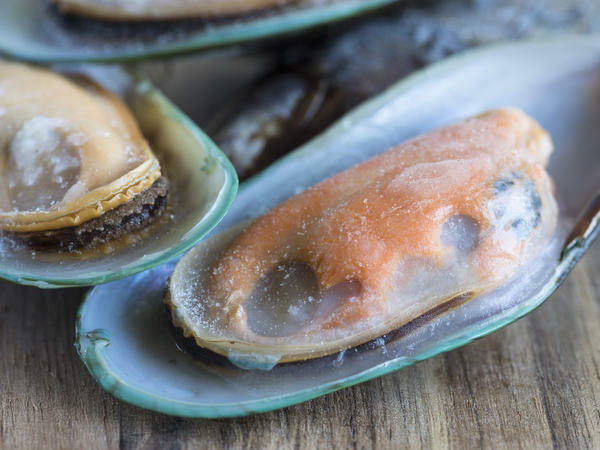 Researchers from Brigham and Women's Hospital say shellfish is the most common food allergen to afflict Americans. Researchers are giving us new insight into the problem of food allergies and intolerances. A new study out of Brigham and Women's Hospital finds 3.6 percent of Americans are dealing with those problems. The study, published in The Journal of Allergy and Clinical Immunology, looked at the electronic health records of 2.7 million people and identified 97,482 with one or more food allergies or intolerances. Researchers defined allergies and intolerances as anything resulting in an adverse reaction to a food, including hives, anaphylaxis or shortness of breath. Women and girls were found to be more likely to suffer from the problem — 4.2 percent compared to 2.9 percent among males. And people of Asian descent were the likeliest subgroup to be affected at a rate of 4.3 percent. But as NPR's Allison Aubrey has laid out, it can be difficult to determine what actually constitutes a food allergy and so pinning down how many people are afflicted can be tricky. And even if patients are diagnosed with an allergy, they can outgrow it; about one in five people outgrow their peanut allergy. The most common allergens are shellfish, fruit and vegetables, dairy and peanuts, in that order, according to the study. Lead researcher Dr. Li Zhou said food allergies are estimated to cost the United States $25 billion dollars a year. And yet we may be under-equipped to accurately evaluate and diagnose them, since there are fewer than 7,000 allergists and immunologists in the country. Zhou adds that only 20 percent of patients with a peanut allergy actually received followup testing.